This is one of my favorite recipes! I adore sweet and salty. I love that you cut these into such pretty shapes! Making these now – they’re chilling in the fridge. The dough is super easy to work with, and I like to cut one step out of the process. After mixing the dough, turn it out onto a piece of parchment, cover it with a second piece, and roll it to the 1/4″ thickness. Chill on a cookie sheet in half the time, and then it’s already rolled and you didn’t have to fight cold dough! Also, it happens to be a very cooperative dough to work with even when it’s room temp – not too sticky! @jami – I know, it’s such an awesome recipe. Love your shortcut! 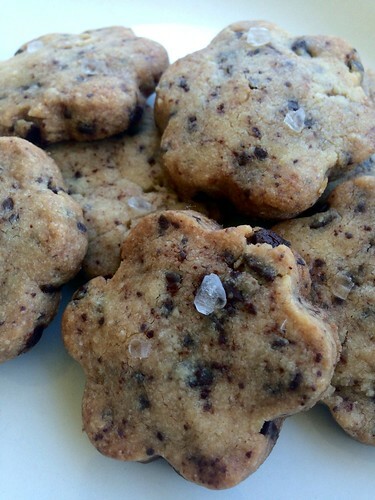 @Jennifer | Bake or Break – thank you for sharing the recipe!